In a hive of dutiful, identical drones, Buzby is the odd-bee-out, to the despair of his rules and routine obsessed Sergeant Major. 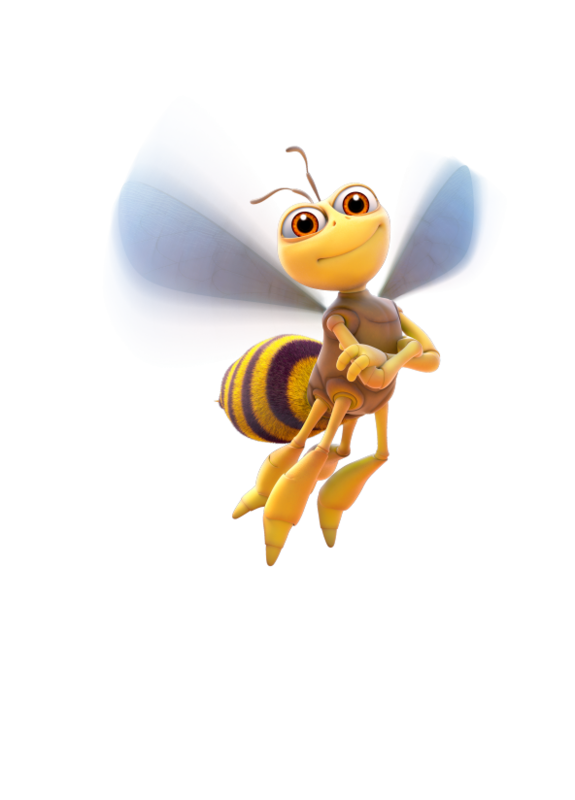 It’s not that Buzby is rebellious - he’s well-meaning, and longs to be a hero to the hive. It’s just that he’s a distractible daydreamer, and his friendly, clumsy attempts to help the hive often backfire. Buzby wants to be all the bee he can be - he shows us that even in a strict and regimented world, we’re all one in a million. Buzby might mess up often, or forget his own plan halfway through, but he flies to the beat of his own drum. People have been gathering honey from honey bees for a very long time. Ancient Egyptian art shows that people were keeping beehives over 4000 years ago. We’ve had a long relationship with busy buzzing bees!